Police are appealing for witnesses to a serious collision on the A143 at Earsham on Friday 22 February. A red Honda motorcycle was involved in a collision with a yellow Daihatsu near to the Old Harleston Road junction at approximately 3.30pm. The rider of the motorcycle, a man in his 60s, was taken to Addenbrookes Hospital in Cambridge with serious head injuries. The driver of the car, a woman in 70s, suffered minor injuries. 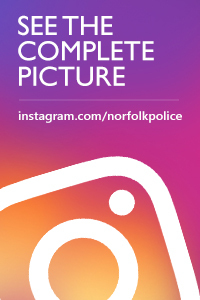 Anyone who may have witnessed the collision, or the manner of driving of either vehicle prior to the incident, should contact Sergeant Mark Barney at Acle Roads Policing on 101. Officers would also be keen to hear from anyone who may have dashcam footage at the time of the collision.